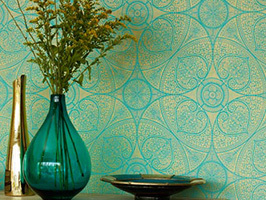 Dating back to Ancient Greece, the Greek key design (also termed meander motif or Greek fret) was an important symbol that represented infinity and unity. 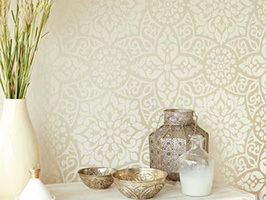 Adorning temples, architecture, pottery and more, this memorable print has truly been around for centuries. 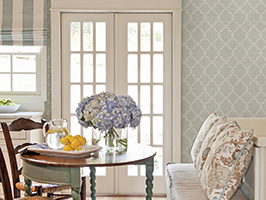 Now popping up on anything from rugs and chairs to dressers and lamps, this timeless motif is taking on a variety of forms. 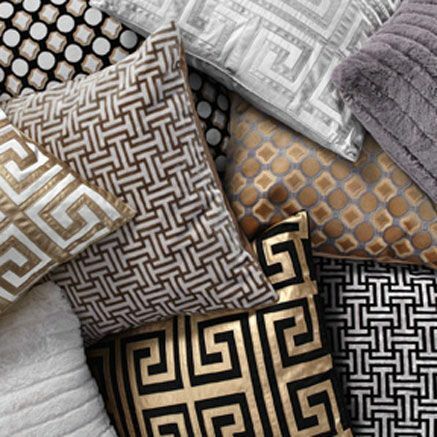 From large-scale designs to tiny and more intricate patterns, the Greek key can make a fashionable impression both big and small. 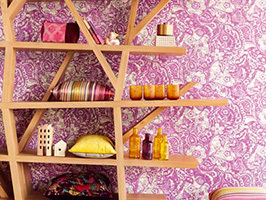 Furniture: Enhancing anything from the backs of chairs to a DIY dresser, this geometric inspired design gives furniture a chic, modern look. 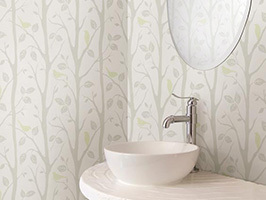 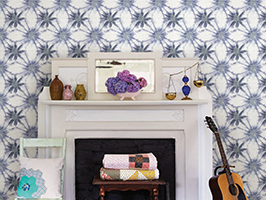 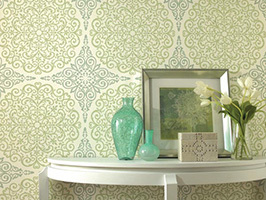 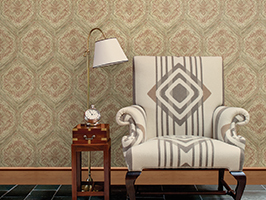 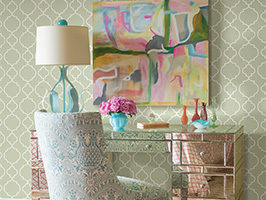 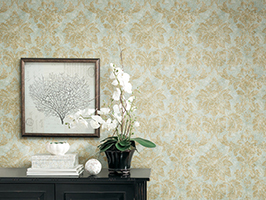 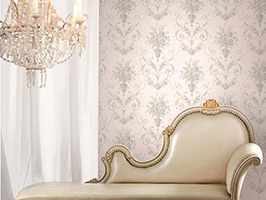 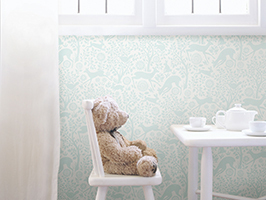 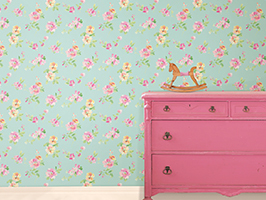 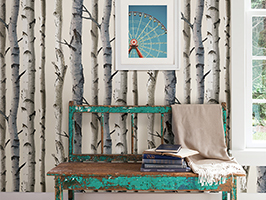 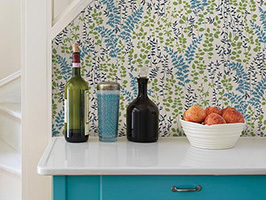 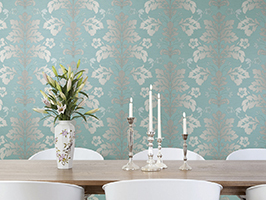 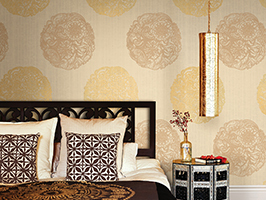 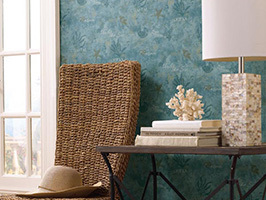 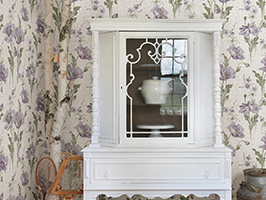 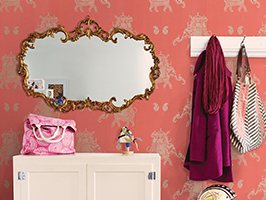 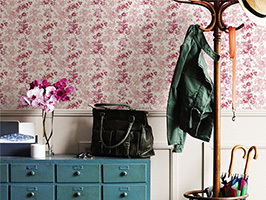 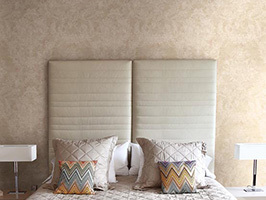 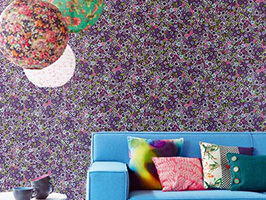 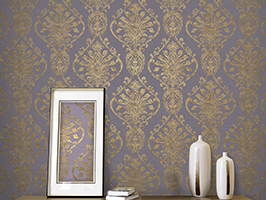 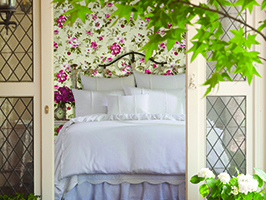 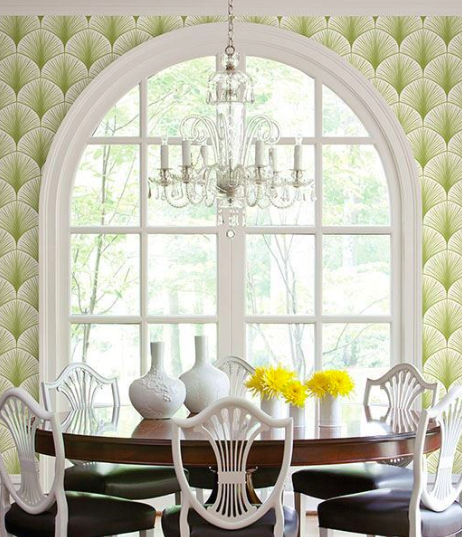 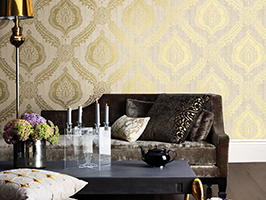 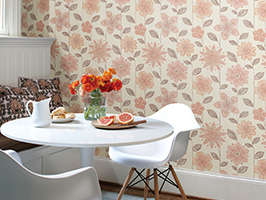 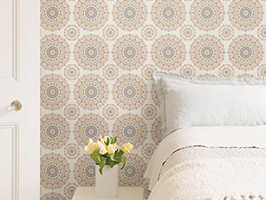 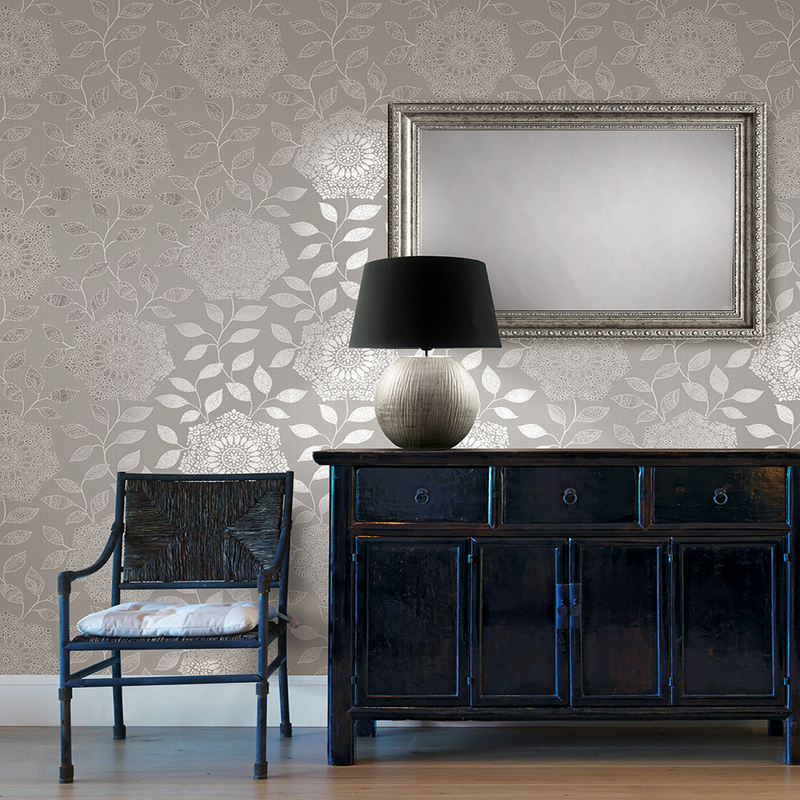 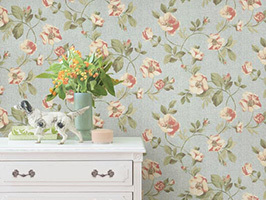 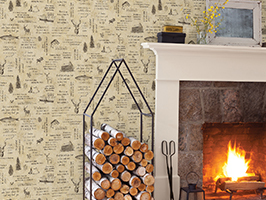 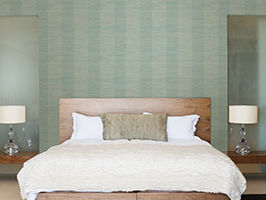 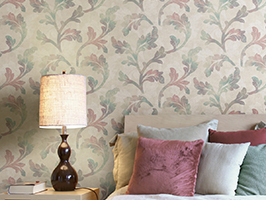 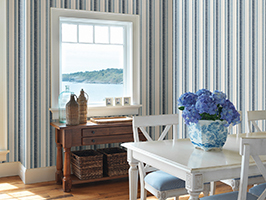 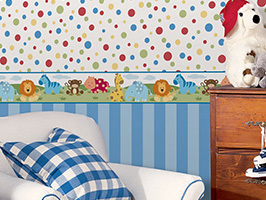 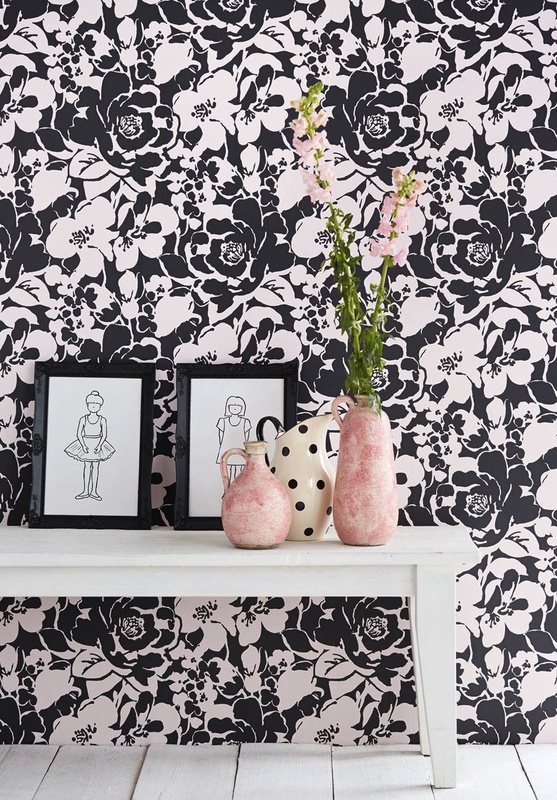 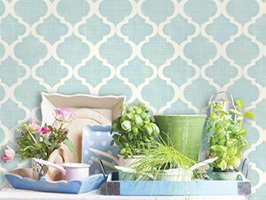 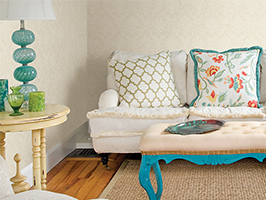 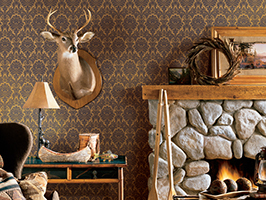 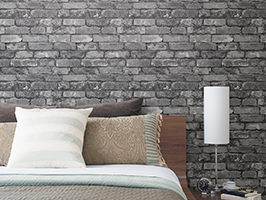 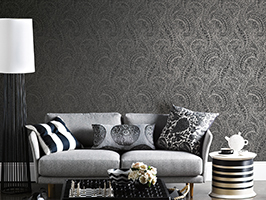 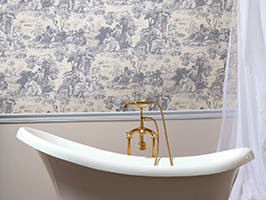 Wallpaper: Using the Greek key design in wallpaper creates a fascinating arrangement on walls. 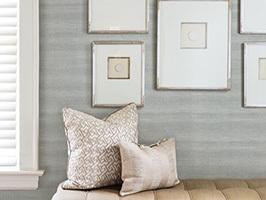 The clean, simple form created by lines that seem to never end makes for a contemporary and artful backdrop in any room. 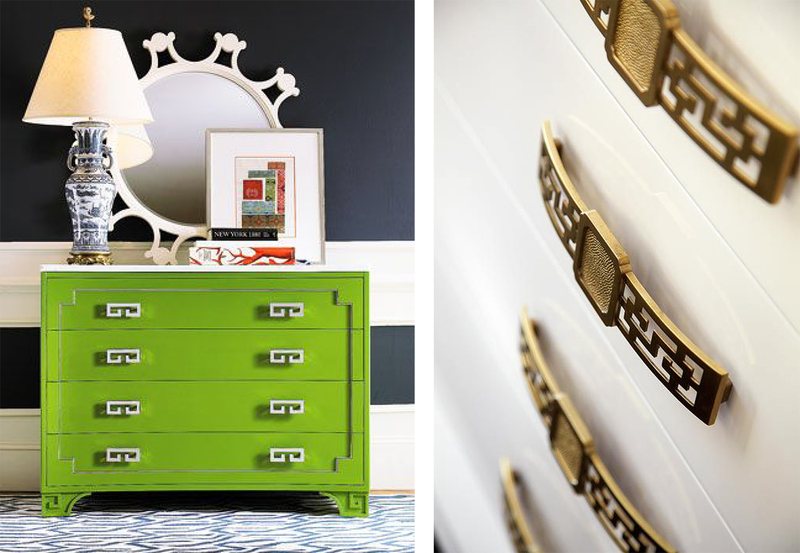 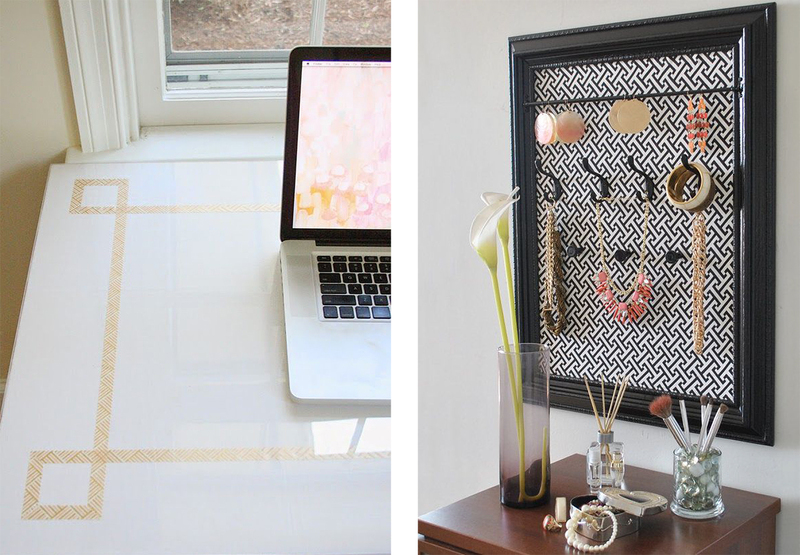 Hardware: The beauty of hardware is that it can transition an item from drab to fab in a matter of minutes. 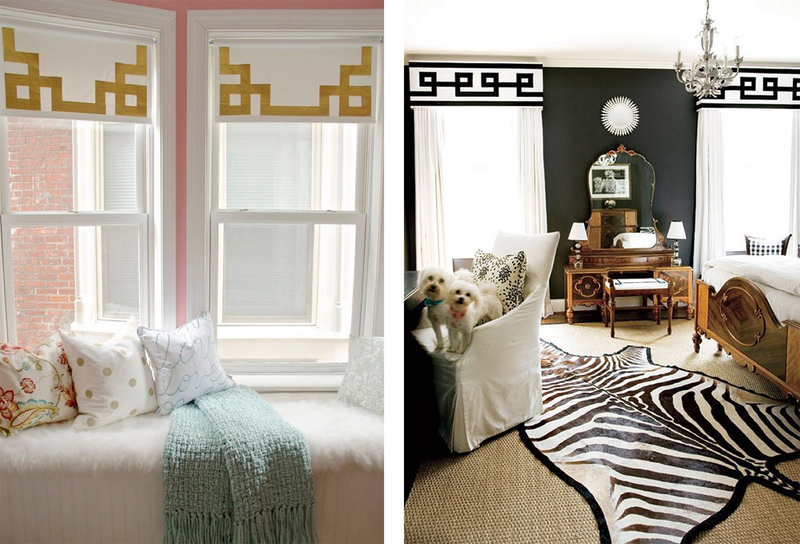 From simple to the more intricate as seen below, the Greek key motif looks stunning both ways. 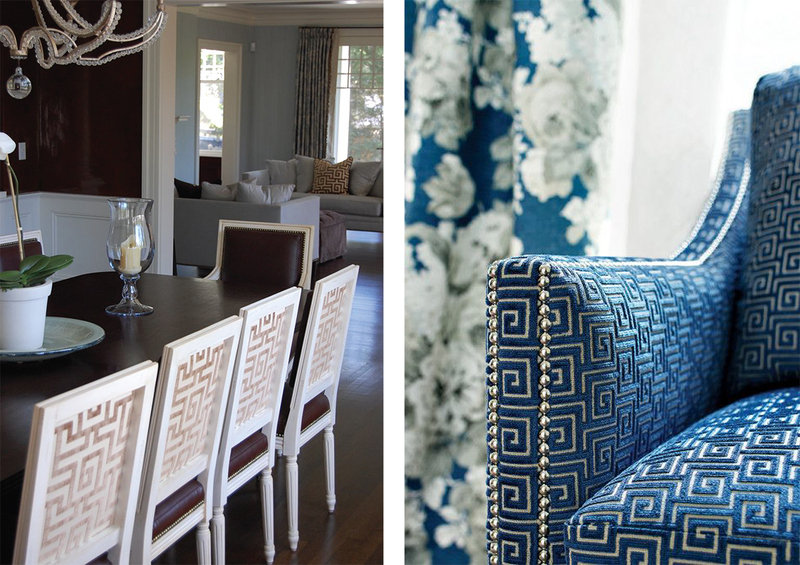 Curtains: A subtle yet sophisticated accent in any space, curtains, valances, and shades are perfect surfaces to flaunt the Greek key. 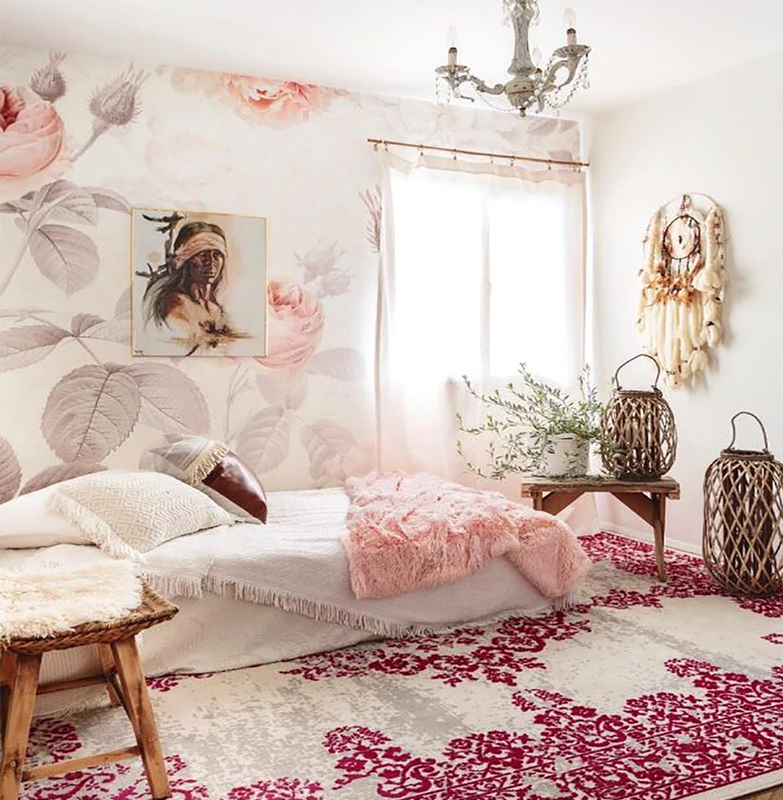 Rugs: Go bold with an area rug design that stands out but also complements the rest of decor. 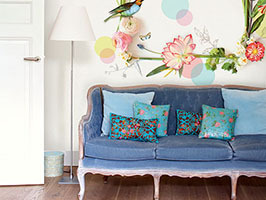 Unexpected & Clever: We loved the look of some of these clever uses. 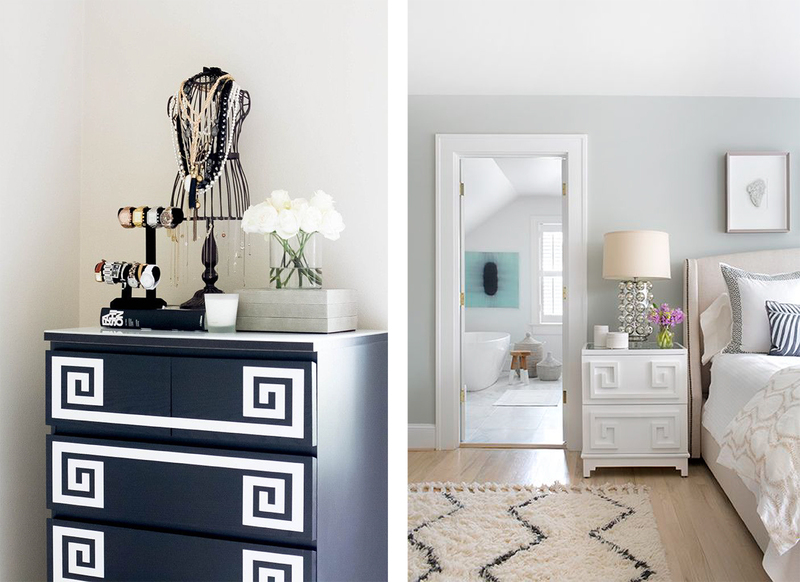 From closet doors to a beautiful jewelry display, the Greek key brought its perfect form to decor we would never have expected! 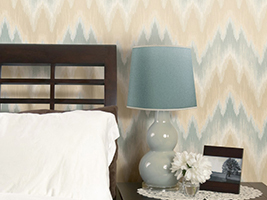 See more Greek key inspired designs on Pinterest!